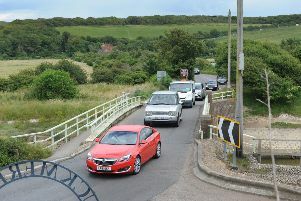 There is heavy traffic on the A259 after a car and motorcycle collided. The accident happened on East Dean Road, the A259, in East Dean, before 9am this morning. It is affecting traffic in both directions from Warren Lane to Cophall Lane.